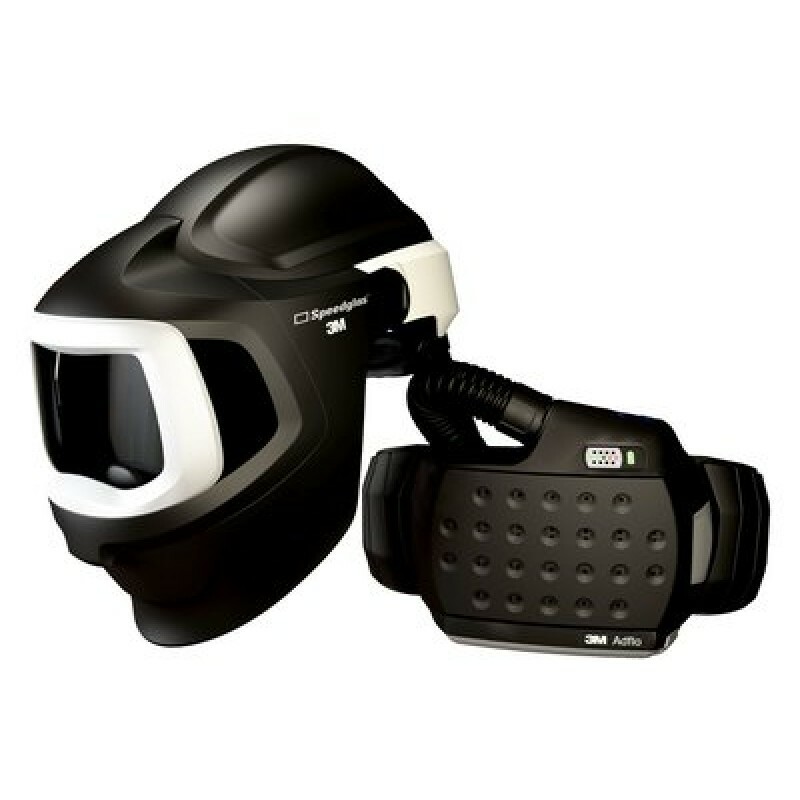 The 3M Adflo Powered Air Purifying Respirator (PAPR) 27-1101-00SW is constructed with the 3M Speedglas Welding Helmet 9100 MP with auto-darkening filter (ADF) offers the welder compact, lightweight respiratory protection and quality filter optics all-in-one. The 3M Adflo PAPR comes complete with a NiMH battery, high efficiency particulate filter, and wide leather belt. 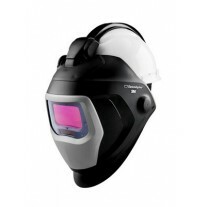 Audible and visual alarms signal low airflow and low battery charge. The high efficiency particulate filter easily "stacks" onto an optional 3M Adflo Cartridge Filter (not included) for additional protection against OV/SD/CL/HC vapors. 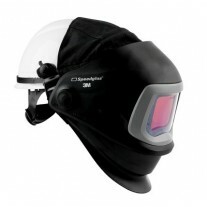 High Efficiency particulate respiratory protection system for welders. 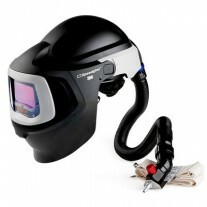 Lightweight, compact design. 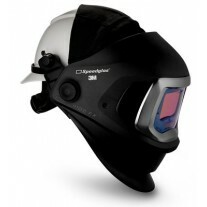 The welding helmet can provide overhead protection and increased peripheral vision. Auto-Darkening Filter not included.